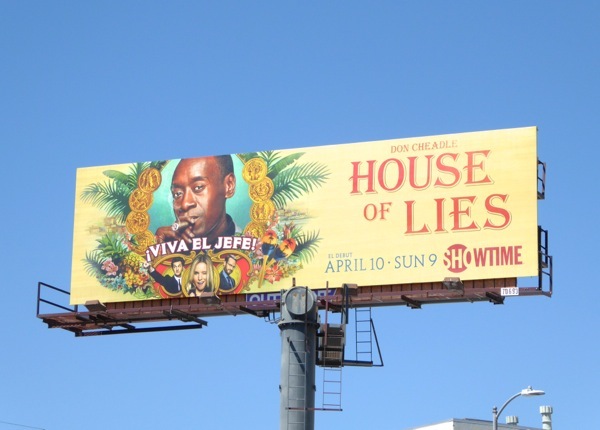 Don Cheadle's charming fast-talker 'Marty Kaan' and his high-powered management consultant team, played by Kristen Bell, Ben Schwartz and Josh Lawson, are back for a fifth season of House of Lies. The cutthroat consultants are willing to use any dirty trick to close the deal in the boardroom, and the show is also breaking barriers by being the first U.S. series to film in Cuba since the restoration of diplomatic channels with the island republic. So expect Marty to be smoking some cigars in Havana this season and look forward to another slew of guest stars, including Ken Marino, Wanda Sykes, Keegan-Michael Key, Donald Faison and John Cho to spice things up for the firm. 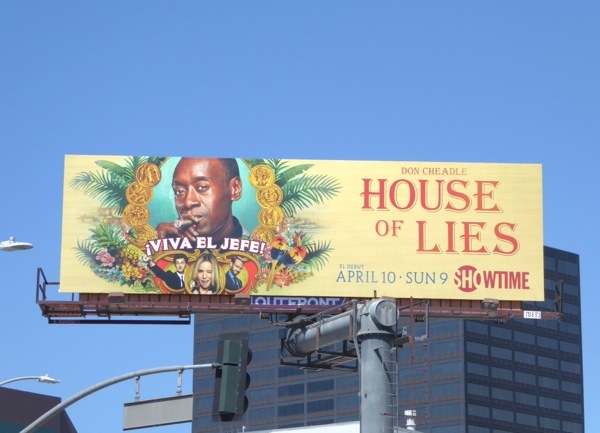 This season five 'Viva El Jefe' billboard was snapped above Westwood Boulevard on March 31, 2016. 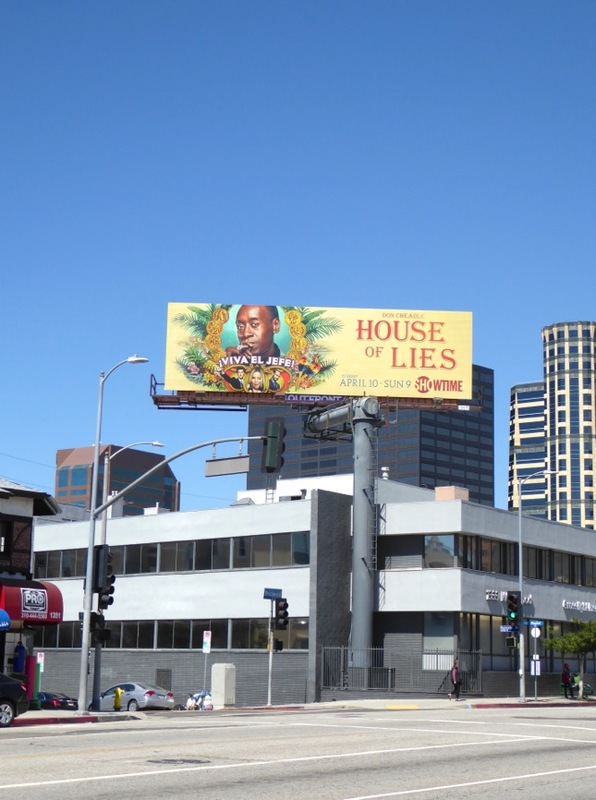 If you're a fan of the Showtime series, make sure you also enjoy these previous season promo billboards for House of Lies from around the skies of L.A. from 2011 to date. 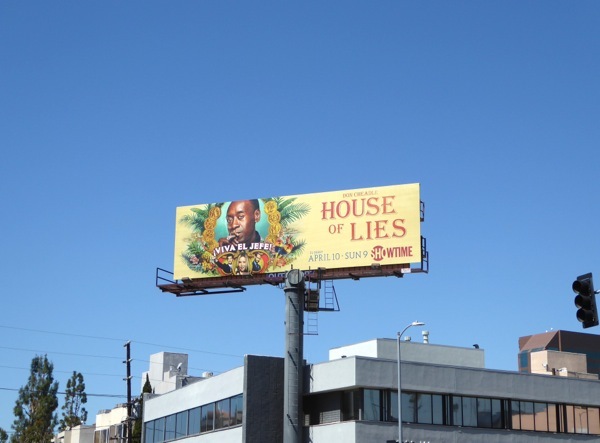 Looks like it's time to raise a toast to the new season with a few mojitos.